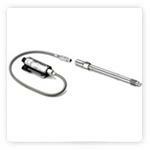 GEFRAN Melt sensors are pressure/ temperature transducers and transmitters that measure Melt medium pressure in high temperature environments (up to 538°C). the strain gauge, keeping it away from the heat source. quantity into an electrical signal. 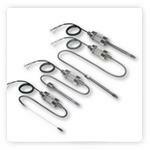 Please click on the Gefran series of suitable transducers to find more info & request a quote. Please click on the sensor category above for more information. range of mercury-free Melt sensors, both with filling fluid (oil or NaK) and fluid free (IMPACT). 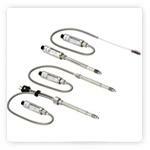 Gefran MX, Gefran WX or Gefran IX (Atex) and Gefran MF or Gefran WF (Factory Mutual) transmitters and transducers are certified based on their respective protection and safety requisites, and can work in potentially explosive atmospheres. 2006/42/CE and EN1114 specific for extruders. 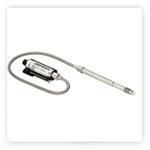 IMPACT PL"c" features intelligent electronics with Auto Diagnostics to detect possible faults. An integrated relay in the electronics changes state in case of overpressure or if the setpoint is exceeded. Increased safety on the IMPACT PL"c" is completed by full conformity to Namur NE21 and NE43 recommendations.